Posted on September 29, 2015	by chainsoff. 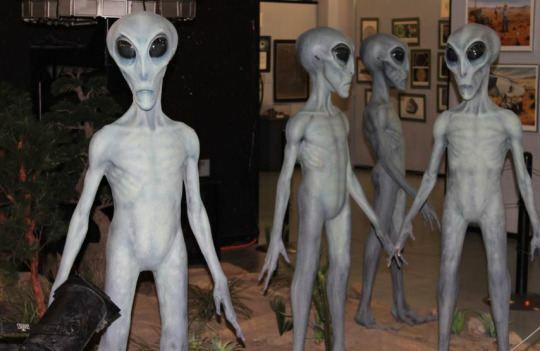 Aliens do exist, according to a top secret FBI memo found by researchers into UFOs. Investigators at the Hakui Centre for UFO Research in Tokyo, Japan, claim they have discovered a document that proves there is extra-terrestrial life. The FBI memo contains details about flying saucers being piloted by three feet tall aliens. The Bureau is said to be concerned about the findings at the research centre, fearing the discovery could lead to members of the public gaining access to thousands of documents. “They were described as being circular in shape with raised centres, approximately 50 feet in diameter. “Each one was occupied by three bodies of human shape but only 3 feet tall, dressed in metallic cloth of a very fine texture.